Is the US housing boom coming to an end? As housing prices force builders to move out in search of cheaper land, some say the boom is coming to an end. In related news: Dr. Wood says Canadian purchases of US sawmills could drive prices higher; a Montana builder blames tariffs for driving up prices; while Seeking Alpha says interest rate increases are toxic to the price of lumber and lumber stocks. Companies in the news include: strike action at Interfor; Western’s purchase of Columbia Vista; Pinnacle’s pellet production; Freres’ mass plywood panels; and Northern Pulp’s pros and cons. Finally: the California fires have Democrats and Republicans debating forestry’s role in the US Farm Bill. 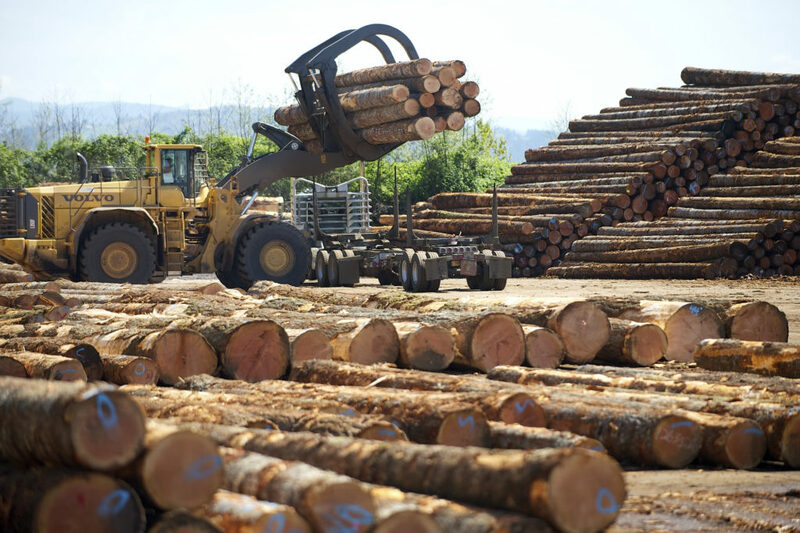 Columbia Vista, the Clark County lumber mill that started in 1952, and is Clark County’s only lumber mill, has been sold to Western Forest Products Inc. of British Columbia for $30.5 million. …In addition to removing local ownership of the county’s lone surviving sawmill, the sale throws into doubt an active player in the local philanthropic community. Also, under its ownership the past two decades, Columbia Vista has built a reputation for green management practices and employee development programs. …Columbia Vista co-owner Bob Lewis, who serves as president, will remain with Vancouver, B.C.-based Western, to serve as a consultant for three years. “My wife and I are not getting any younger,” Lewis said Monday. “We are both nearly 70. …Western and Columbia Vista are the two largest suppliers of lumber to the Japanese housing market, Lewis said. “There are great synergies,” he said. The bullish bonanza in the lumber market started in September 2015 when the price of wood was at $214.40 per 1,000 board feet… and by the second week of May, the price found a peak of $659 per 1,000 board feet. Lumber rallied by over 207% from late 2015 to its May 2018 peak. 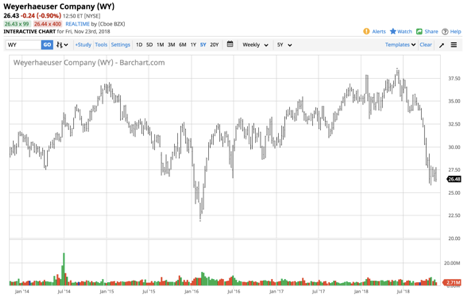 …Weyerhaeuser Company hit a low of $22.06 in early February 2016, and a high of $38.39 per share in early June 2018 as the shares lagged the price action in the lumber futures market. …The initial correction from a new record high turned into carnage in the wood futures market. …While lumber was already correcting from the high in June, the word from the U.S. Federal Reserve that economic conditions warranted a fourth 25 basis point increase in the Fed Funds rate in 2018 was not welcome news for the housing market. Picket lines went up at the Interfor sawmill in Castlegar Monday as part of rotating job action by the employees’ union. Talks between the United Steelworkers (USW) and the Interior Forest Labour Relations Association (IFLRA) broke down more than a week ago and workers have been in a legal strike position since the beginning of November. “Members will be exercising that right on an incremental basis,” according to the union. The IFLRA and the USW have been engaged in collective bargaining since the beginning of September. According to the IFLRA, the parties have spent 12 days in negotiations, culminating with three full days of mediation in mid-November. VANCOUVER – Pinnacle Renewable Holdings Inc. today announced that it has commenced initial pellet production at its new production facility in Smithers, British Columbia, which is owned 70% by Pinnacle and 30% by West Fraser Timber Co. Ltd. through a limited partnership. 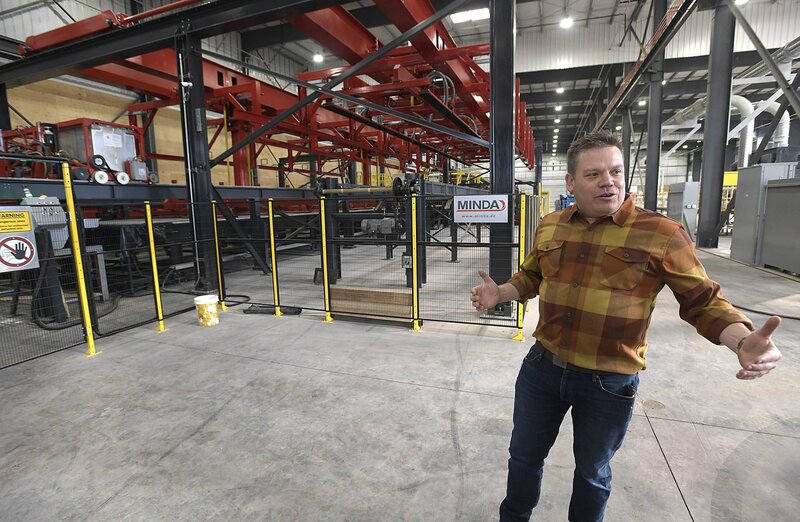 “With construction now nearing completion, we are pleased to report successful initial production runs at this new facility,” said Rob McCurdy, CEO of Pinnacle. “We expect commissioning of the Facility to be straightforward, due to its simple design and a fibre plan that consists mostly of clean, easily processed sawdust and shavings, supplied primarily by our partner West Fraser.” …Pinnacle is now gradually ramping up production at the Facility and expects to reach full run-rate production of 125,000 metric tons per annum in the third quarter of Fiscal 2019. Re: “N.S. stuck in muddle.” Your Nov. 22 editorial on the Northern Pulp dilemma is as muddled as the situation it describes. Is it really useful to suggest that the province will continue to “muddle along, spending money but never escaping survival mode for an industry perpetually under pressure”? …You could have insisted that the government undertake a thorough, transparent and hard-nosed cost-benefit analysis of the situation. …Just how many full-time jobs are at stake at the mill? How much is the mill costing Nova Scotia taxpayers? How difficult would it be to replace those jobs? …We need to know, too, how much the mill is extracting from our forests. Is it true, as some believe, that it is chewing up the province’s last remaining wood-basket in the southwest? What impact is that having on the forest, now and in the future? Several weeks ago Canfor Corp. announced it entered into an agreement to purchase Elliott Sawmilling Co., Inc., South Carolina, for a purchase price of $110 million. …Elliott has a production capacity in excess of 210 million board feet and the sawmill consists of both large and small southern pine log lines. Canfor is a leading integrated forest products company based in Vancouver. Gene Wengert, the Wood Dr., believes that this and other purchases may lead to additional shortages of lumber used in home construction in the U.S. …With the large number of southern pine sawmills purchased by Canadian firms, and when the price is favorable, we can expect, with the Canadian expertise in exporting, that exports of southern pine lumber will increase,” Wengert said. “The response in the U.S., which already imports one-third of the lumber used for framing houses and multi-family buildings, will be lumber shortages and further price increases. We’re taking a look at housing prices in Montana. Looking first at the market for new homes, they’re getting more expensive. “The tariff combined with natural disaster just made the cost of lumber rise sharply,” says Ryan Frey, the president of the Missoula Building Industry Association. The tariff he’s talking about is a 20-percent tariff on Canadian softwood… “New construction, in general, is not getting asking price. There’s some negotiation. We’ve seen a leveling out in the top end. We’ll see if that trickles down, further,” Frey says. Leveling out at the top end means the most expensive new homes are selling like they used to. And it’s not just tariffs on Canadian lumber. The Trump administration also levied tariffs on billions of dollars of Chinese imports this year. …Those tariffs hit finish products, such as certain kinds of flooring, particularly hard says Dave Prosper, manager of Pierce Flooring and Design Center in Missoula. Colin and Justin: Well, wood you? Colin and Justin visit three very different wood built holiday homes. …During each Great Canadian Cottages episode, as you know, there’s a single ‘beat’ that connects the houses we profile. And this week’s ‘beat’ is wood. Used in home construction since the dawn of time (and easily the world’s most environmentally sustainable material) tree stock is grown – and built – to last. A few months back, in these very pages, we featured the timber built and woodsy detailed Opinicon in Elgin, a resort that boasts incredible heart. Tyler Freres, vice president of sales for Freres Lumber Co., walked through a new manufacturing plant … and pointed out a stack of wood panels destined for Oregon State University this week. …Freres Lumber Co.’s mass plywood panels were certified for use at the end of July… Freres is thinking big. …The mass plywood panels are engineered mass timber panels assembled by combining densely layered, extremely thin layers of Douglas fir veneers. The process creates a large-format engineered wood platform that can be cut to exact specifications. The veneer-based product also may give Freres a competitive edge against other mass timber panels. The mass plywood panels use 20 to 30 percent less wood, cost less, weigh less and are as strong or stronger than lumber-based cross-laminated timber. …But Freres said the mass plywood panels have dramatically more quality control than cross-laminated timber, and his company’s experience with veneers is an advantage, as well. One of the areas hit hardest by this year’s wildfires has reached a milestone in its recovery as a result of close collaboration between the B.C. government and the Gitxsan First Nation. After the lightning-caused Pope Forest Service Road wildfire was discovered on Aug. 1, 2018, BC Wildfire Service crews and contractors worked hard to get it under control. By the time it was fully contained in early September, the wildfire (located 37 kilometres northwest of Hazelton) had burned over 560 hectares. All of the land affected by fire suppression activities on the Pope Forest Service Road wildfire has now been fully rehabilitated — the first of the 2018 wildfires in the Northwest Fire Centre to achieve that goal. The work was completed in collaboration with the Gitxsan First Nation, whose traditional territory was directly affected by the fire. Six months after flood waters swept through this small B.C. city, at least 28 downtown businesses are still closed. Many locals and forestry experts are blaming rampant clearcutting for reducing nature’s ability to protect residents from the hell of high waters, but the province insists all is well in the forests of southern British Columbia. …In 2017 there was localized flooding in Grand Forks, but nothing prepared the 4,200 residents for this spring’s water levels, which rose more than half a metre higher than previously recorded. As residents look for answers, there are increasingly pointed questions about the role of forestry and over-harvesting in the watershed. …Courtnay and Jesse Redding, who both grew up in Grand Forks and moved back two years ago, draw on decades of local knowledge to come to the conclusion that clearcuts worsened the spring floods. Atlantic Canada’s logging industry has always run lean, but, while operating costs are steady, rates are stagnant and profits seem to be slipping. But the bigger question is, where are the young people? In 2016, CFI’s Contractor Survey found that Atlantic Canada’s contractors are smaller and older than the rest of Canada, but their profits were more stable. Our 2018 survey finds similar results, but the profit picture is worsening. That may explain why more of those contractors are looking to leave the industry in 10 years or less. But with minimal succession planning happening, the industry may look radically different over the next decade. …Compared to our survey results from neighbouring Quebec – where the logging industry is relatively healthy with younger contractors and overall increasing profit margins – if trends continue in Atlantic Canada, the industry there is facing a major shakeup over the next decade or less. Interior Secretary Ryan Zinke on Monday again called for Congress to enact more aggressive forest management policies included in the House-passed farm bill, saying they could save forests and lives and create jobs in the logging industry. …Zinke and the Trump administration want Congress to approve measures in a farm bill passed this year in the House, which would give the Interior Department and the Forest Service new authority to clear risky biomass like dead trees and brush from forests. The controversial measures include new exemptions from environmental review for many forest thinning practices, reducing barriers to removing wood after fires and making it easier to build roads through federal land in the name of forest management. …Lawmakers from the House and Senate are negotiating toward a final farm bill that could pass both chambers and get President Trump’s signature. WASHINGTON, D.C. — Senate Agriculture Committee ranking member Debbie Stabenow, D-Mich., said late Monday that she and other congressional agriculture leaders are “very close” to finishing a new farm bill, but that last-minute demands from House Republicans and the White House to make changes to forestry policy could bring down the bill. …”It would be very unfortunate if [the demands for forestry policy changes] brought down the farm bill …unfortunate for farmers and ranchers.” …The forestry issue arose last week in reaction to the latest devastating wildfires in California. …Perdue and Zinke also said Congress should give them more authority to clear forests of materials that they contend are causing fires, although they emphasized that they are not proposing clear-cutting. Wildfires are consuming our forests and grasslands faster than we can replace them. 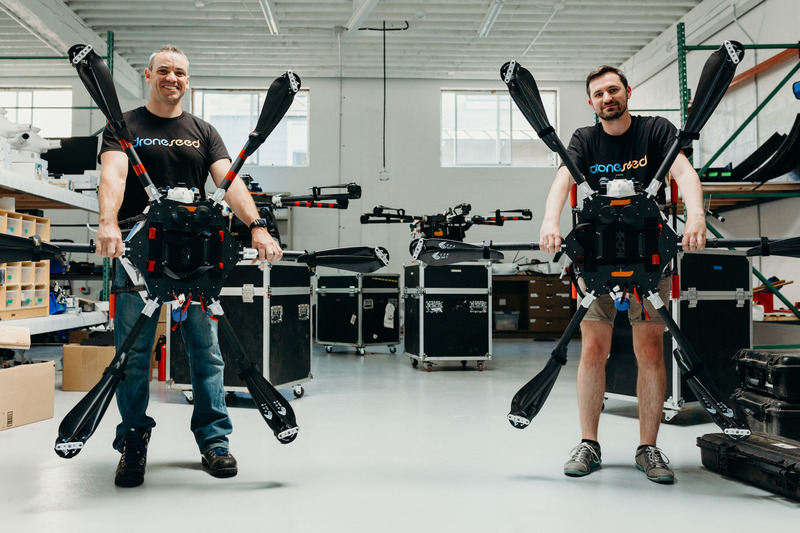 …DroneSeed is a Seattle-based startup that aims to combat this growing problem with a modern toolkit that scales: drones, artificial intelligence and biological engineering. And it’s even more complicated than it sounds. …Earlier this year, DroneSeed was awarded the first multi-craft, over-55-pounds unmanned aerial vehicle license ever issued by the FAA. Its custom UAV platforms, equipped with multispectral camera arrays, high-end lidar, six-gallon tanks of herbicide and proprietary seed dispersal mechanisms have been hired by several major forest management companies, with government entities eyeing the service as well. These drones scout a burned area, mapping it down to as high as centimeter accuracy, including objects and plant species, fumigate it efficiently and autonomously, identify where trees would grow best, then deploy painstakingly designed seed-nutrient packages to those locations. PARADISE, Calif. — The Latest on California wildfires: A Northern California sheriff says no additional remains were found Monday, but the wildfire’s death toll rose to 88 after investigators determined human remains that had been assigned to two people actually belong to three. Butte County Sheriff Kory Honea said Monday that 203 names remain on the list of those unaccounted for after the Camp Fire swept through the rural area 140 miles north of San Francisco. The blaze that ignited Nov. 8 destroyed more than 13,000 homes. Officials said the blaze was fully contained Sunday. …U.S. Interior Secretary Ryan Zinke is back in Northern California to tour wildfire damage and says fire recovery costs will likely be in the billions. …U.S. Secretary of Agriculture Sonny Perdue joined Zinke. Humboldt State University is about to receive an 884 acre forest 12 miles from campus with old growth trees. The forest will be used for field work, research and revenue generation. The land, roughly the size of Central Park. …The forest has stands of second growth coastal redwood and old growth western red cedar. David Greene, forestry professor and the chair of the forestry department at HSU, said the new property will provide amazing opportunities for the College of Natural Resources and Sciences. …“Eventually we’ll create a timber harvest plan,” Greene said. “For now let’s let it grow.” …Greene credits the city of Arcata… the city worked to secure it through funding opportunities from California Fish and Wildlife, Wildlife Conservation Board, grants, and a significant donation from the landowner R.H. Emmerson and Son LLC. It’s been a little over a month since Hurricane Michael swept through southwest Georgia. On Monday, the Georgia Forestry Commission updated Dougherty County commissioners on how the hurricane has impacted their work. Ranger One Stacey Rayburn says the hurricane has impacted where rangers can get due to the large amounts of debris. So far, he says there have been ten wild fires in the county this year. Rayburn says most of the fires have been due to land owners doing debris burns or controlled burns that get out of hand due to wind or other factors. Scientists warn that Brazil’s president-elect could push the Amazon rainforest past its tipping point—with severe consequences for global climate and rainfall. Jair Bolsonaro, who takes office Jan. 1, claims a mandate to convert land for cattle pastures and soybean farms, calling Brazil’s rainforest protections an economic obstacle. Brazil contains about 60 percent of the Amazon rainforest, and scientists are worried. 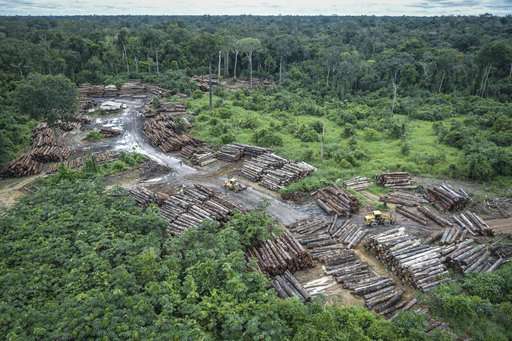 It’s nearly impossible to overstate the importance of the Amazon rainforest to the planet’s living systems, said Carlos Nobre, a climate scientist at the University of Sao Paulo. Each tree stores carbon absorbed from the atmosphere. The Amazon takes in as much as 2 billion tons of carbon dioxide a year and releases 20 percent of the planet’s oxygen, earning it the nickname “the lungs of the planet.” It’s also a global weather-maker. The US market potential for biochar is estimated at over 3 billion tons. However, there are many factors affecting the development of that market, including: technology, quality standards, education and marketing, and economics. …The study results identify constraints of the current production system and identify gaps requiring further attention. …National Forests in many regions are located in close proximity to agricultural lands (i.e., potential biochar users) and have the potential to be a major supplier of woody biomass due to management and restoration needs on National Forests. …Forest practitioners are in need of additional profitable avenues for low-value woody biomass. 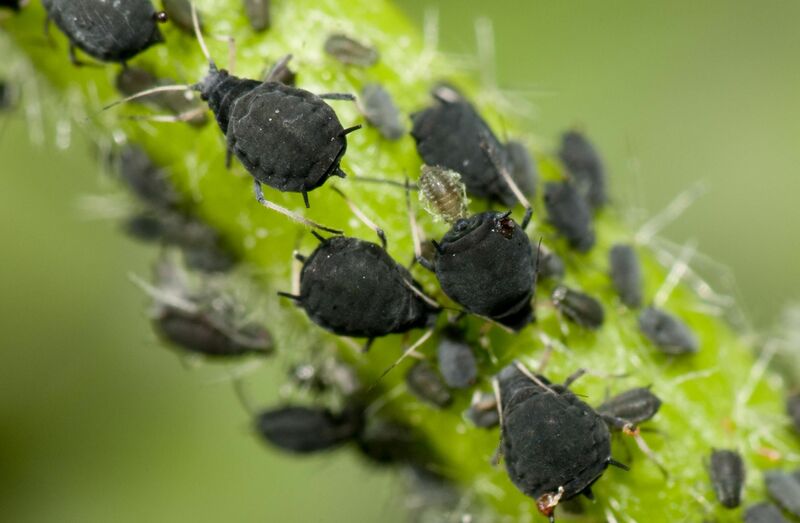 Biochar has been an emerging market for at least a decade and is characterized currently by a few large and many small producers, all pursuing profitable operations.